The founder of Prayables, Susan Diamond is funny and wise. Sassy and street smart. She’s not a pastor, rabbi, or television reality star. Yet somehow she found the way to bring millions of very different people together in prayer. It was a Sunday morning in Skokie, Illinois, and I was looking forward to going to church. Nothing unusual about that, except for the fact that I was twelve years old. And Jewish. I am founder of Prayables Susan Diamond. This is my story. It was 1969. A time of political turmoil and social unrest. For me, it was also a time of deep spiritual yearning. Even though I spoke to God all the time, there was something missing. I loved God, but I treated Him like my personal spiritual genie — I sensed it was a one-sided deal. There had to be more to it. So I snuck out of the house in my jeans with a dress stuffed in my purse and walked the four blocks to St. Joan of Arc church. I quietly kept up my Catholic devotions for three Sundays in a row, hoping that I could find at church what I hadn’t been able to find in Jewish worship services. On Saturday mornings I would go to hear Jewish boys in my junior high class celebrate their Bar Mitzvah, a traditional rite of passage. During the long, boring Saturday mornings in the synagogue, it never occurred to me that God was in that house. Ever Wonder Where You Belong? I heard a rumor that Miss Ryan, the eighth-grade English teacher, was a former nun. I thought I knew all about nuns, thanks to Sally Field’s weekly TV portrayal of Sister Bertrille. I decided to confide in Miss Ryan and told her I wanted to become a Catholic. It was a short conversation. She told me to forget about it. I was Jewish! After that I stopped going to church, but I never stopped wondering where I belonged. Fast-forward 20 years. I’m a single working mom with two kids. One’s a boy, and it’s Bar Mitzvah time. I went to the neighborhood synagogue to talk to the Rabbi. I walked into his office, sat down in the chair across his desk — and he had me at hello. I cried like a baby and couldn’t stop. We never actually talked about my son’s Bar Mitzvah. We talked about my spiritual quest. The Rabbi challenged me to become a part of the synagogue community. I started going to services as an adult, taking the time to really understand what I was saying, finding ways to be fully present, and connecting with other congregants who shared my love of God. That was when I learned how to pray. It changed my life. Praising God left me breathless. Praying with gratitude made me content. Now I couldn’t keep it all to myself: I had to share the good fortune I felt. Jewish prayer is a tough gig. First of all, it’s in Hebrew. That means learning a whole new alphabet and a whole new language. Then you have the choreography: When to stand, when to sit, when to pray out loud, when to pray silently. There are lots of rules that make it difficult for a newbie to simply pray. So I devised a “cheat sheet” for the prayer book and came up with a buddy system, pairing up congregants who were “in-the-know” with those who “wanted-to-know.” More and more congregants felt welcomed into the experience of prayer, and the program was a success. My spiritual life was in a very good place by the time I began a new career in the nonprofit world. I started out working for a Jewish organization, where we opened many meetings with Jewish prayer. I fit right in! A couple of years later, I took a job with a Christian nonprofit. Their meetings were opened with Christian prayers, and even as a Jew, I was able to join right in. I discovered something awesome that held true across both organizations: We were all praying for the same things. I made a spiritual commitment to add daily prayer to my life. Sounds easier than it actually is. In Judaism, you follow a very structured prayer service with specific liturgy, so finding ways to pray on your own can be a challenge. I photocopied pages from my prayer book and kept the bulky folded sheets in my purse so I could pray in the train on my way to work. Then I got my first iPhone. I figured there had to be a prayer app that would take the place of my dog-eared papers. Turned out there wasn’t one — but I couldn’t stop thinking of the possibilities. So that’s how the idea for Prayables was born. The mission: Make praying “on-the-go” easier — with prayers that are relevant to the way we live today. Do away with archaic language. Offer a way to pray that’s understandable and accessible for everyone. I was just getting started in the business of prayer when I had my first real-time “proof-of-concept.” I was in the back seat of a cab, checking email on my iPhone while heading home from O’Hare airport. I looked up and noticed the back of the cab driver’s head was soaking wet — he was sweating and panting slightly. “Are you all right?” I asked him. “I’m sorry, I don’t feel well,” he said with a heavy Russian accent. We were on the highway and I told him to pull over on the shoulder. The minute the cab stopped, he had a series of small convulsions. When they finally stopped, he was shaky but fine. He said this had never happened to him before. He was frightened. I looked down at my hands and realized I was still holding my iPhone. There’s a Hebrew prayer we say when someone escapes great danger, and I knew I had it in my phone. I asked the cabbie if it would be alright if I prayed, and I asked him if he wanted to pray with me. He answered, “I’m Jewish, but I have never prayed. I think now is the time to start.” We said the prayer of gratitude together in English and then I recited it in Hebrew. A feeling of peace filled the inside of the cab. It was a sacred moment for both of us. Everyone craves peace, connection, and hope. My mission is to help you find those things through prayer. Prayer gives you relief from problems and a release for your joy. It lets you speak directly to God in a way that honors and respects Him. Prayer brings you closer to people in community and ends loneliness. It dispels fear. Prayer encourages goodness and inspires kindness. It motivates you to live boldly and appreciate life more fully. I created Prayables as a place for you to come for inspiration, prayers, and a way to find your path to personal peace. Our community is just the right fit for a smart person like you. You have faith. You are passionate. You belong here. 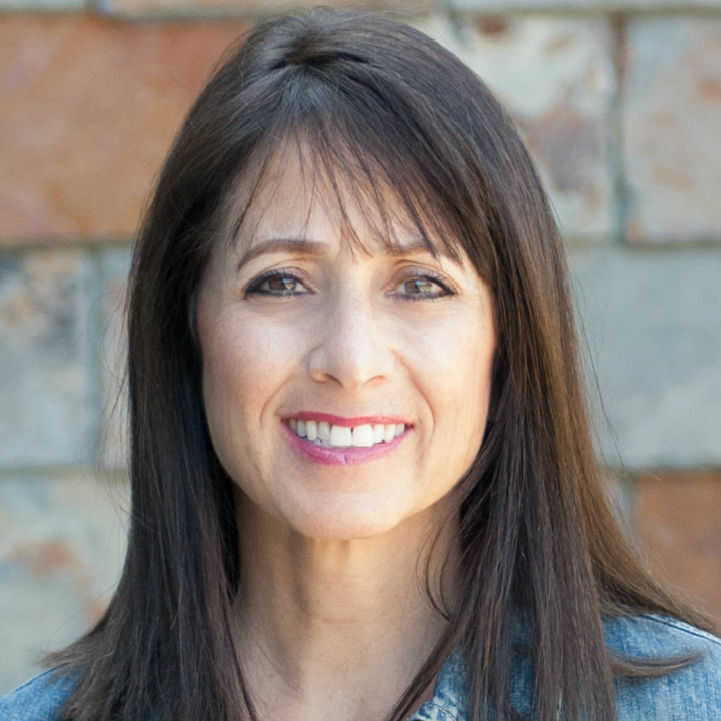 Founder of Prayables, Susan Diamond invites you to join over 100K people who pray every day with Prayables. Get the Daily Blessings, our newsletter with prayers, articles, inspirational quotes & more! ✼ READ MORE from Susan! Want to see and enjoy the thousands of prayers, inspirational quotes, articles and blogs written and curated by Susan Diamond? Visit Prayables on Beliefnet.